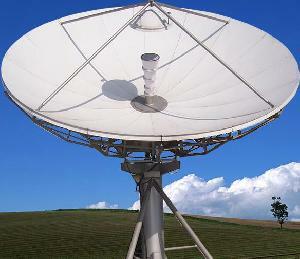 antesky science technology inc. is a specialized company engaged in the design and manufacture of satellite communication earth station antenna and relevant servo equipments, and radar telemetry and telemonitor antenna servo sub-system. we have a selected range of vsat antenna (ku-band, c-band, ka-band), non-penetrating roof mounts, earth station antenna control system and tracking systems. Base on the principle of "Humanistic, Professional and Combatant Spirit" .our company has built a professional team in developing considerable capability in R&D, sales and service, especially in antenna production and processing, our well-appointed workshops have antenna skin drawing machines, large quenching equipments to be used for antenna sections, microwave darkroom, antenna measuring system and field, hp8563E frequency spectrum analyzer, hp83752B signal source, hp8757D network analyzer, etc. Our company has established reliable quality assurance system and been approved for ISO19001-2000 quality system. Our company conducts full-process quality control from design, fabrication to product issue so as to assure on-time delivery and as-perfect-as-possible after sale service. Thus the number of customers and the market share of our products, are on the rise year by year. Company Name: Antesky Science Technology Inc.